In trophies, in likes, in followers, in lots of money? In good times, in bad times, in sickness, in health. How about love? How about love? How about love? 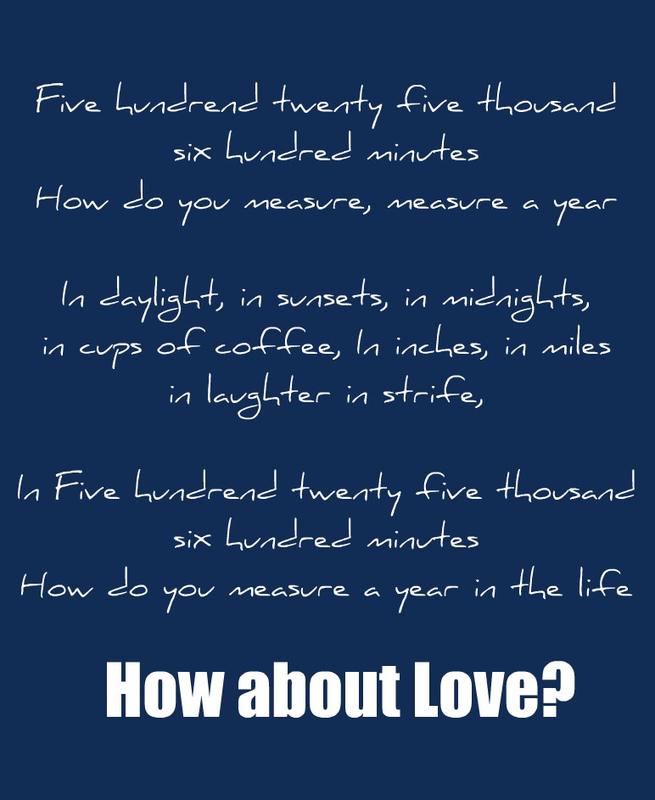 Measure in love. Seasons of love. I want my life to be measured in love. I want it to be what I am known for. I want to be overflowing with it. Love is the common currency in this world, accepted everywhere. Universally understood. It can break down any barriers, prisons and walls that we build. You can’t overdose on it. You can’t love too much.